During the Holocaust, the Nazis established concentration camps across Europe. In this map of concentration and death camps, you can see how far the Nazi Reich expanded over Eastern Europe and get an idea of how many lives were affected by their presence. At first, these concentrations camps were meant to hold political prisoners; however, by the beginning of World War II, these concentration camps had transformed and expanded in order to house vast numbers of non-political prisoners whom the Nazis exploited through forced labor. Many concentration camp prisoners died from the horrible living conditions or from being literally worked to death. Dachau, the first concentration camp, was established near Munich in March 1933, two months after Hitler's appointment as chancellor of Germany. The mayor of Munich at the time described the camp as a place to detain political opponents of the Nazi policy. Only three months later, the organization of administration and guard duties, as well as the pattern of ill-treatment of prisoners, had already been implemented. The methods developed at Dachau over the next year would be transmitted to every other forced labor camp built by the Third Reich. As Dachau was being developed, more camps were established in Oranienburg near Berlin, Esterwegen near Hamburg, and Lichtenburg near Saxony. Even the city of Berlin itself held prisoners of the German secret state police (the Gestapo) at the Columbia Haus facility. In July 1934, when the elite Nazi guard known as the SS (Schutzstaffel or Protection Squadrons) gained its independence from the SA (Sturmabteilungen or Storm Detachment), Hitler commanded the chief SS leader Heinrich Himmler to organize the camps into a system and centralize management and administration. Thus began the process for systemizing the imprisonment of large swaths of Jewish people and other non-political opponents of the Nazi regime. Germany officially declared war and began taking over territories outside its own in September of 1939. This rapid expansion and military success resulted in an influx of forced laborers as the Nazi army captured prisoners of war and more opponents of the Nazi policy. This expanded to include Jews and other people seen as inferior by the Nazi regime. These huge groups of incoming prisoners resulted in the rapid building and expansion of concentration camps further across Eastern Europe. During the period of 1933 to 1945, over 40,000 concentration camps or other types of detainment facilities were established by the Nazi regime. Only the major ones are noted on the map above. Among them are Auschwitz in Poland, Westerbork in the Netherlands, Mauthausen in Austria, and Janowska in Ukraine. By 1941, the Nazis began building Chelmno, the first extermination camp (also called death camp), in order to "exterminate" both Jews and Gypsies. In 1942, three more death camps were built (Treblinka, Sobibor, and Belzec) and used solely for mass murder. 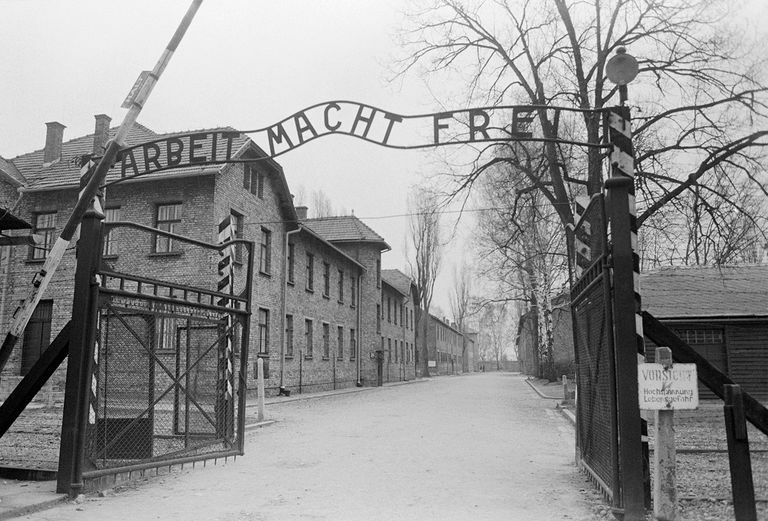 Around this time, killing centers were also added at the concentration camps of Auschwitz and Majdanek. It is estimated that the Nazis used these camps to kill approximately 11 million people.